The Stellenbosch University (SU) is delighted to announce full-time doctoral scholarships in the Graduate School of Social Science, for the year 2019. Suitable candidates who are citizens of any sub-Saharan African country are invited to apply. Stellenbosch University (SU) is home to an academic community of 29 000 students (including 4 000 foreign students from 100 countries) as well as 3 000 permanent staff members (including 1 000 academics) on five campuses. The University is amongst South Africa’s leading tertiary institutions based on research output, student pass rates and rated scientists, and is recognised internationally as an academic institution of excellence. It boasts the highest weighted research output per full-time academic staff member of all South African universities and the second-highest number of scientists in South Africa who have been rated by the National Research Foundation (NRF). It also has the highest student success rate in the country. In order to be eligible applicants must have an adequate command of spoken and written English, as the correspondence, courses, seminars and other activities of the Graduate School will, as a rule, and in view of the presence of foreign students especially at the doctoral level, be transacted in English. Course Level: Scholarships are available to study a doctoral degree programme. Study Subject: Scholarships are awarded in the fields of arts, humanities and social sciences. Scholarship Award: The maximum value of the scholarship, commencing in 2019, is R 420 000.00 over three years. Applicants will be required to declare the value of any other scholarship(s) or award(s), whether in cash or in kind (for example paid leave of absence), that they may hold for the same study programme. Lower values may be allocated where successful applicants hold other scholarships amounting to less than the maximum value of the Graduate School scholarship. Nationality: Suitable candidates who are citizens of any sub-Saharan African country are invited to apply. Number of Scholarships: The Graduate School of Arts and Social Sciences opened its doors in 2010 and has enrolled nine cohorts of doctoral students. To date, the Graduate School has awarded more than 200 doctoral scholarships to students from 18 sub-Saharan African countries, including South Africa; an average intake of 20 students per year. Eligible Countries: Suitable candidates who are citizens of any sub-Saharan African country are invited to apply. Angola, Benin, Botswana, Burkina Faso, Burundi, Cameroon, Cape Verde, Central African Republic, Chad, Comoros, Congo (Brazzaville), Congo (Democratic Republic), Ivory Coast, Djibouti, Equatorial Guinea, Eritrea, Ethiopia, Gabon, Gambia, Ghana, Guinea, Guinea-Bissau, Kenya, Lesotho, Liberia, Madagascar, Malawi, Mali, Mauritania, Mauritius, Mozambique, Namibia, Niger, Nigeria, Rwanda, Sao Tome and Principe, Senegal, Seychelles, Sierra Leone, Somalia, South Africa, South Sudan, Sudan, Swaziland, Tanzania, Togo, Uganda, Zambia and Zimbabwe. Suitable candidates who are citizens of any sub-Saharan African country are invited to apply for three-year full-time doctoral scholarships in the research programmes of the Faculty to commence studies in January 2019. Full-time, residential study: The doctoral study programme will be a full-time, residential programme, i.e. the student will be required to devote all his or her time to the doctoral study programme on the campus of Stellenbosch University. The expectation is that the doctoral study programme shall be completed within three academic years. Interactive learning environment: The department or entity offering the programme, will create an interactive learning environment conducive to advanced scholarship development. This may be achieved by various means, including at least the following: (a) a requirement that students follow or attend the relevant and agreed upon training modules, workshops and seminars on offer by the Graduate School of Arts and Social Sciences (b) a requirement that students attend and participate in regular scholarly activities such as guided postgraduate, departmental, or theme-oriented seminars or reading groups, and (c) regular meetings between students and supervisors as well as regular student progress reports to the Graduate School office. Research themes: The student’s research topic shall form part of one or more of the Faculty’s approved Research Themes which shall be focused on problems related to Africa’s development. Collaborative research partnering: Where appropriate and feasible, students shall be encouraged to participate in the Faculty’s efforts to engage in collaborative research projects with leading African universities through PANGeA. In cases where students will spend significant periods of time away from Stellenbosch or on partner campuses, appropriate measures shall be taken to arrange suitable supervision on partner campuses. Scholarships are intended for students who wish to undertake a study programme to obtain a doctoral degree in the Faculty of Arts and Social Sciences at Stellenbosch University, and who therefore are in possession of the necessary qualifications for admission to a doctoral degree in this Faculty. Applicants must have completed a Masters degree or an equivalent recognised by Stellenbosch University before they can be admitted to doctoral study. 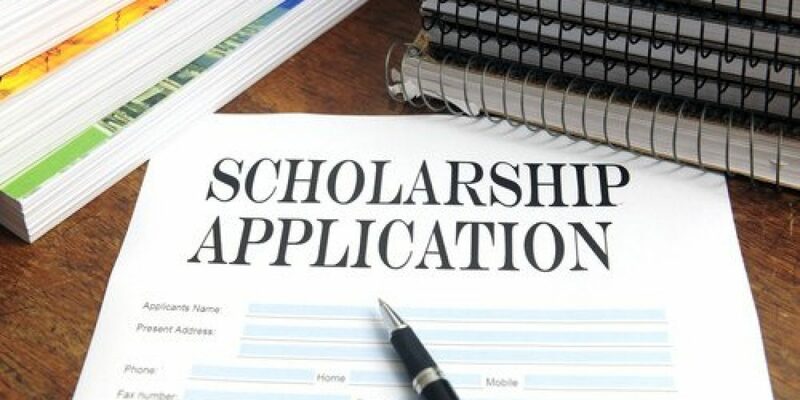 As a rule, a minimum average of 65% should have been obtained in their previous qualifying degree or study in order to be eligible for the scholarship. The University will decide, in its sole discretion, whether any particular qualification or degree is sufficient to satisfy the admission criteria for the doctoral degree and for the award of the scholarship. Applicants must be citizens the sub-Saharan African country – which includes South Africa. Successful foreign (non-South African) students must be in possession of a valid study permit in order to register at Stellenbosch University at the commencement of the programme. Applicants must be available for full-time study over a period of three years starting at the beginning of 2019, reasonable vacation periods and/or data collection trips excepted. 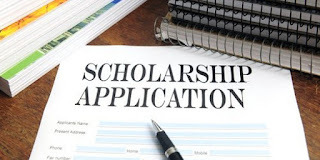 Unless on sabbatical or leave approved for the purposes of taking up this full-time scholarship, the scholarship-holder may not without permission of the Graduate School be involved in any form of salaried employment during the tenure of the scholarship. Applicants must have an adequate command of spoken and written English, as the correspondence, courses, seminars and other activities of the Graduate School will, as a rule, and in view of the presence of foreign students especially at the doctoral level, be transacted in English. The use of languages other than English for the submission of written work will be acceptable, subject to the availability of academic staff members capable of supervising and examining the work submitted in such languages. English Language Requirements: Applicants must have an adequate command of spoken and written English, as the correspondence, courses, seminars and other activities of the Graduate School will, as a rule, and in view of the presence of foreign students especially at the doctoral level, be transacted in English. The following documents should be included with your application. Applications which are incomplete or where documentation is missing will not be considered. Academic records Full particulars of ALL previous and current tertiary studies. Please submit copies of certified diploma/degree certificates AND official study records (transcripts). Please note that academic records from student portals will not be acceptable. If you completed all of your tertiary studies at Stellenbosch University, you do not need to submit academic records. ID or Passport Please include a copy of your ID or passport photo page. Competency in English Please attach proof of competency in English (English language proficiency test results or publications written in English). The sample of academic writing Please attach a sample of your best academic writing; either published work or a chapter from your Masters’ thesis (in PDF). Please complete sections A – F on the application form provided. Your shortened CV; motivational letter; and research proposal (sections C, D and E) should not be sent as separate attachments/documents. The only supporting documents that need to accompany your application form are those listed in section F: (1) academic records (certificates and transcripts); (2) copy of ID or passport; (3) competency in English; and (4) a sample of your best academic writing. START CHATTING NOW Applications are invited for Australian Government Awards for students of Asia, Pacific, Africa and Middle East. Scholarships are available to undertake full time undergraduate or postgraduate study at participating Australian universities and Technical and Further Education (TAFE) institutions. The study and research opportunities provided by Australia Awards Scholarships develop the skills and knowledge of individuals to drive change and contribute to the development outcomes of their own country. The Australia Awards are prestigious international scholarships and fellowships funded by the Australian Government that aim to contribute to the long term development needs of Australia’s partner countries, in line with bilateral and regional agreements. Applicants must be a minimum of 18 years of age at the time of commencing the scholarship. An applicant or awardee should meet DFAT’s English language requirements for receiving an Australia Awards Scholarship. START CHATTING NOW START CHATTING NOW Applications are invited for Australian Government Awards for students of Asia, Pacific, Africa and Middle East. Scholarships are available to undertake full time undergraduate or postgraduate study at participating Australian universities and Technical and Further Education (TAFE) institutions.